It's a Monday after a holiday weekend; a pretty swell weekend full of fireworks, family, and a wedding. With a day ahead of me at work, I'm certain that I wouldn't have minded if the three day weekend had actually been four. I'll take what I got though and forge through the week ahead, making it great nonetheless. You do only get one chance to live out each day, so you might as well make it the best it can possibly be. Washington, D.C. was intriguing to us; we had planned to visit during the spring when the cherry blossoms would be in full bloom. But, as life goes sometimes, we lost track of time, didn't plan, and never went. So when vacationing in Frisco didn't go like we thought it would, D.C. was the first location that sprang to mind. We decided to make up for the time we hadn't take to visit earlier in the year. This was my first trip to the Capitol City and husband's third excursion. While the traffic is crazy and not what we're used to in southwest Virginia, the sites and the atmosphere were captivating. The history, the architecture, the brilliance! We stayed in the heart of it all, only two blocks from the White House. It was perfect for all of our walking adventures. Plus, it was conveniently located right across the street from a Starbucks. Can you guess where we went both mornings?! The White House completely amazed me. Although I've seen it countless times in photographs, on television, and in movies, there's just something about seeing this landmark in person. 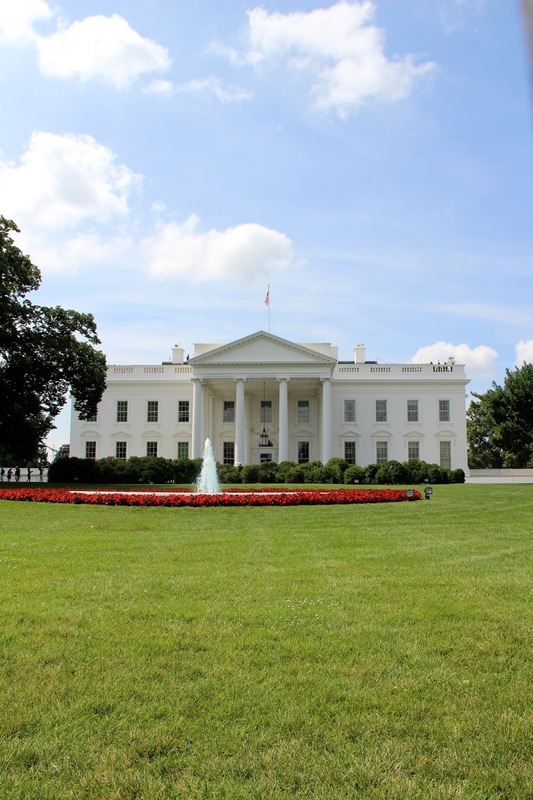 With construction beginning in 1792, and taking eight years to complete, the White House has hosted all but one president. I couldn't help but imagining all the life that was lived within its walls, the challenges faced, decisions made, and so on. That its still standing and fully functional for each new president just amazes me. The Eisenhower Executive Office building was massive and also quite beautiful. I can't imagine the hours and man-power that went into building it. With such elegance on the exterior, I'm super curious to know what the inside looks like. 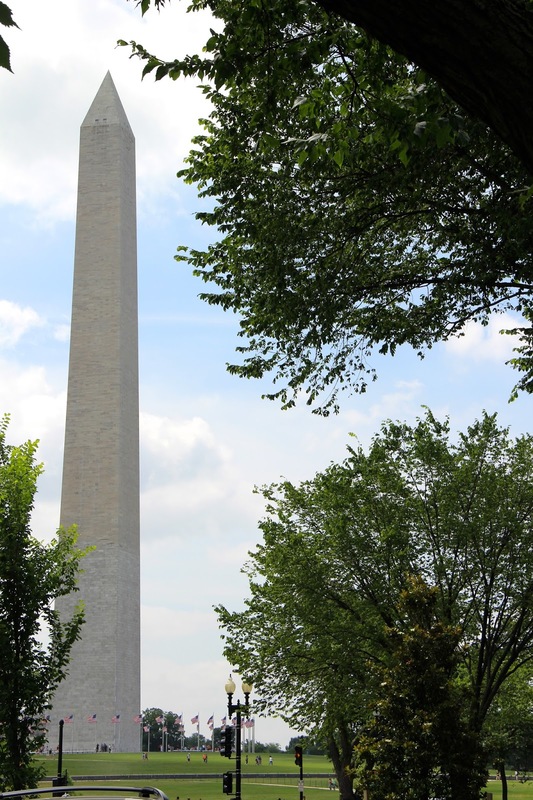 The Washington Monument was remarkable and oh so tall. We enjoyed taking all the touristy pictures around it and even snapped a selfie of ourselves in front of it. Don't mind the crazy way we look; it wast hot and we had been walking miles. Abe is quite the gentleman sitting so grandiose in his seat. I think it would have been rather fantastic to have met this man and held a conversation. Wouldn't that be the best, to travel back into history and hear all the stories, all the narratives, to take in history from a first-hand account?! More of our D.C. adventures will be on the blog this week. To see our time in Frisco, see here & here.